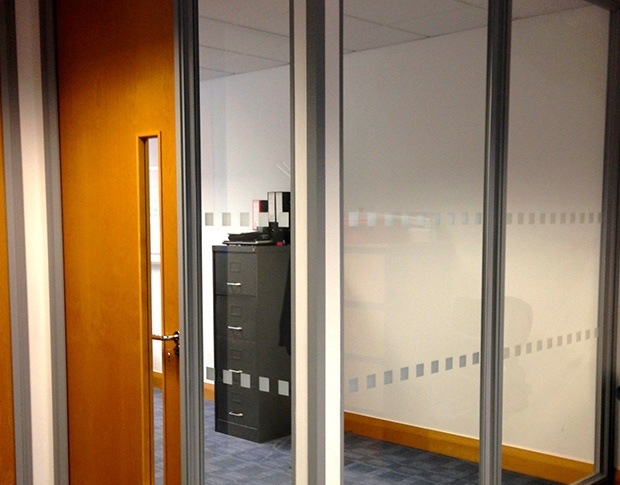 We offer office-partitioning systems that provide practical workplace solutions for a range of budgets. Office partitions may be used to divide up existing working areas to realise extra space from your current office set up. Partitions are available in a variety of sizes and styles and can complement your existing office decor. There are a number of office partitioning systems available and the solution you choose depends on a number of factors including height, acoustic performance finish and cost. We source our materials from high quality manufacturers so that we may offer partitioning systems to match all of your performance and visual requirements. We will be happy to help you choose the correct solution to meet your needs. Partitioning systems are available both as part of a new office fit-out or as part of refurbishment of your existing workplace. All of these options and more can be installed, together with doors, access panels, etc.